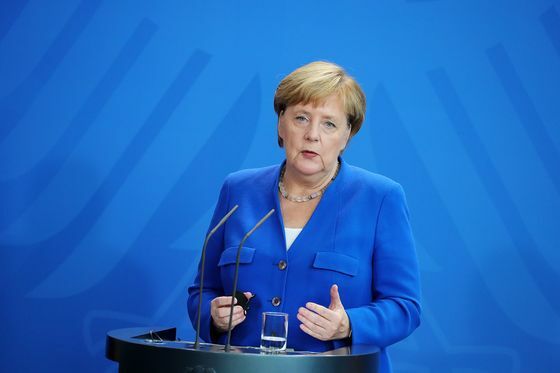 Merkel’s talks with Varadkar come amid increasing concern in Germany that Ireland hasn’t made sufficient preparations to protect the Irish border -- the EU’s new external frontier after Brexit -- in the event of no deal. At an EU summit 10 days ago, Merkel admonished Varadkar for Ireland’s lack of a plan, officials said. Ireland still doesn’t acknowledge how urgent the situation is, according to one of the officials. But Ireland, which insists there can be no return to a hard border -- a symbol of decades of violence which ended with a peace accord in 1998 -- has been reluctant to spell out what would happen if the Brexit deal fails. The EU will oblige Ireland to check the flow of goods across the frontier because of Ireland’s place in the bloc’s customs union and single market, but officials are working on ways to ensure this can happen as much as possible away from the border, people familiar with the matter said.